Erasmus student Giada Centenaro visited us this summer, and has been a great help to many of us! This summer, MSc student Tamiru Shimales has surveyed the insect community on coffee trees, and reared the leaf miner and its parasitoids; exciting to see what comes out! (top) This year we had our annual lab meeting in Tartu, Estonia, where we were invited for a symposium on Biotic interactions and biodiversity patterns across scales organized by Maarja Öpik. 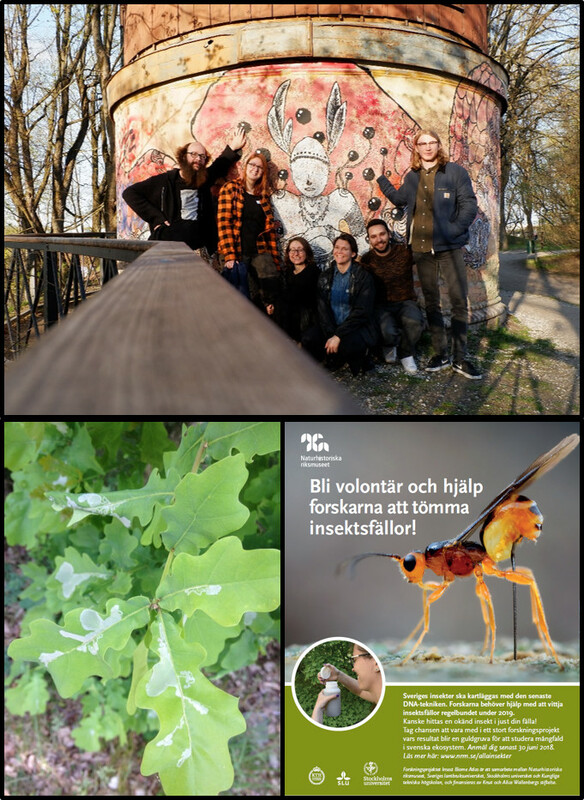 (bottom-left) The oak leaf miner Acrocercops brongniardella had a major outbreak in Stockholm area this year, and Maria Faticov wrote a Swedish and English fact sheet. 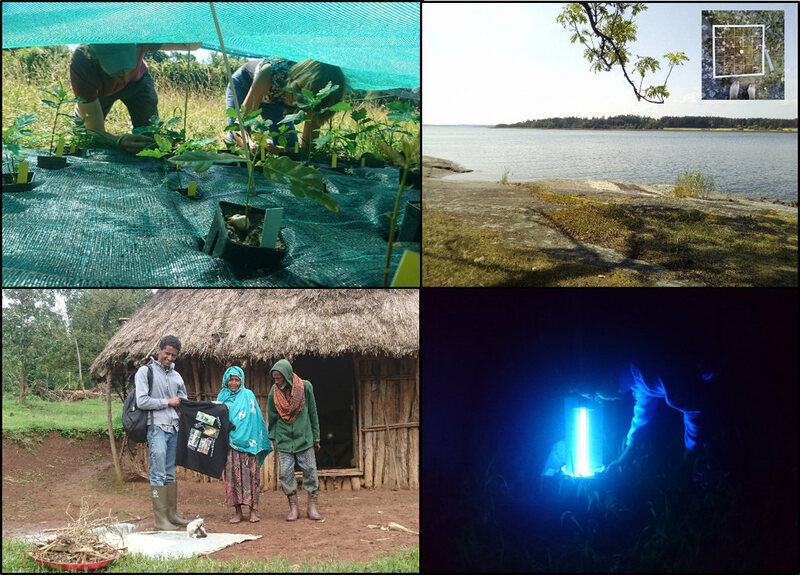 (bottom-right) We started to recruit a hundred volunteers for our Wallenberg-funded project to chart the insect biodiversity in Sweden and Madagascar: click here for more info on how to subscribe as a volunteer. 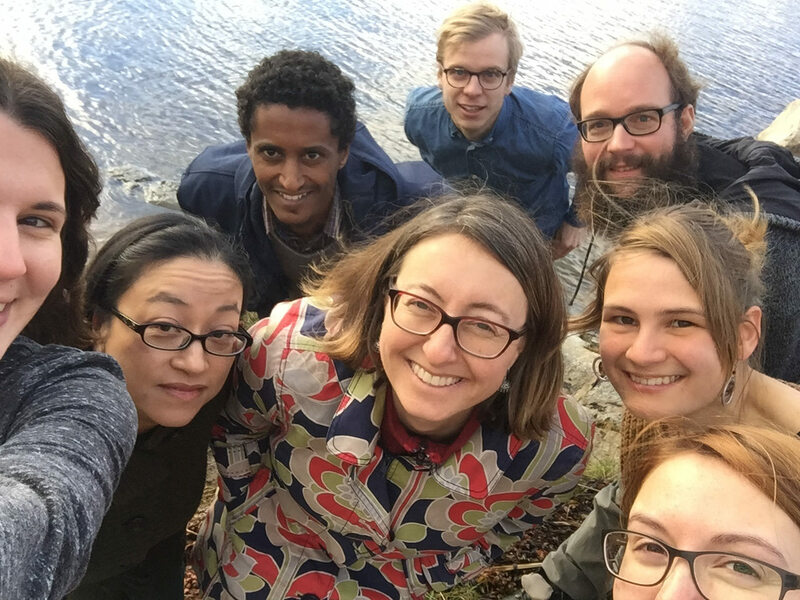 (Photo) Our first group selfie, taken during our annual group meeting, which was this time at Askö marine biological station. (top) Maria Faticov and Adam Ekholm are heating the oak food web to study the impact of climate on phenology, microbes & insects. 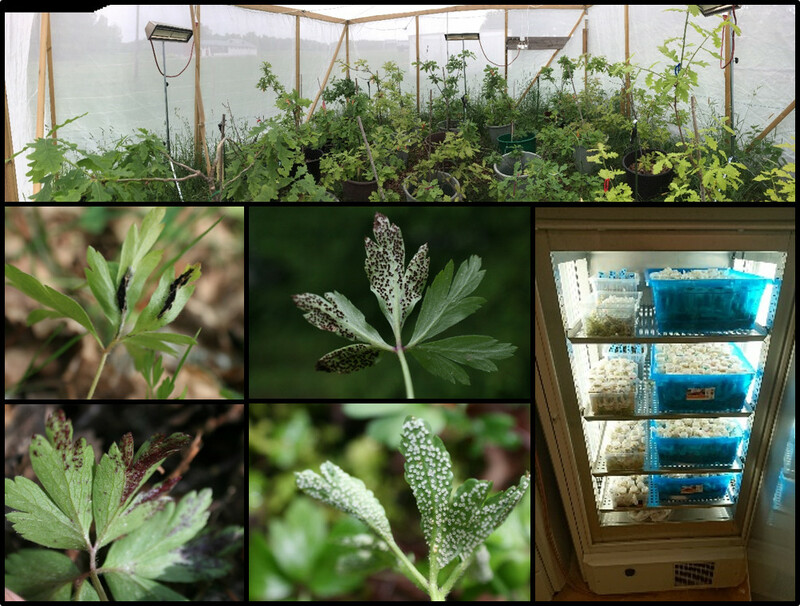 (bottom-left) Laura van Dijk’s new project on the spatial dynamics of systemic diseases in the wood anemone. (bottom-right) The impact of overwintering temperature on the spring phenology of insects on oak: waiting for thousands of leaf miners, gallers and their parasitoids to emerge. (top) Meeting the Swedish King at the Royal Palace. I received a grant for höstförsöket (our new citizen science project) where we will collaborate with school children across Sweden to disentangle the relationship between climate, phenology and the oak food web. (bottom) A sprouting coffee bean in Gomma forest, where we launched our new SIDA-funded project on coffee pests and pathogens in SW Ethiopia. 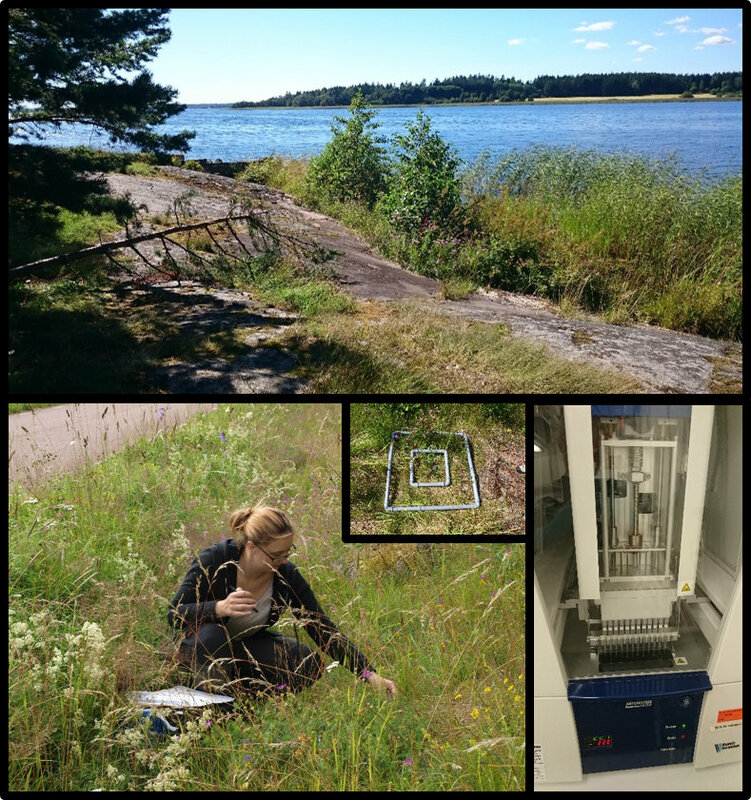 I was awarded a Junior Researcher grant from Vetenskapsrådet to study plant-microbe-insect interactions! A bi-yearly update on cool stuff! Our lab recently moved to Stockholm, where I (Ayco) will start as an assistant professor (‘biträdende lektor’). 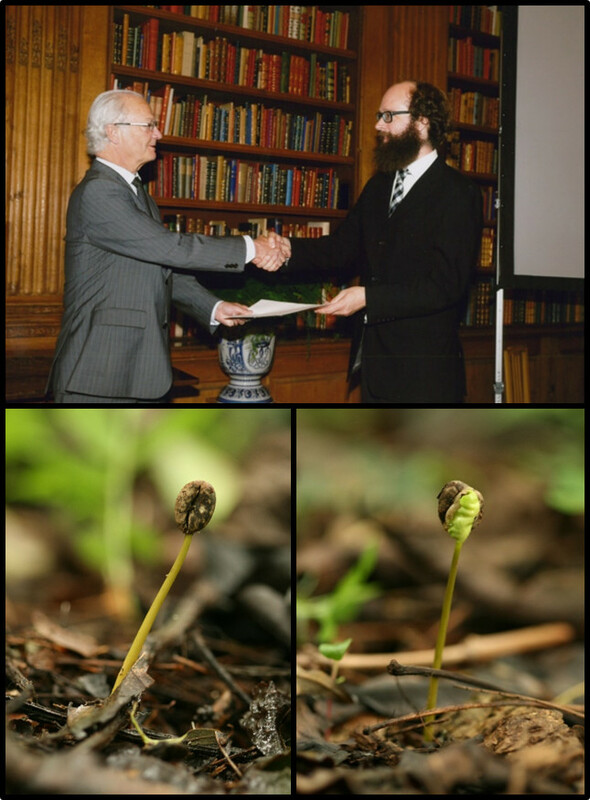 The position revolves around ‘Plant-based species interactions‘.